Siem Reap presents you the world like you've never seen it before. Be ready to be embraced by people with a warm culture and unique traditions that date back from the Angkorian Empire. At night this small town lightens up as people relax after a long day visiting the temples. Be inspired by Apsara dancing, Khmer traditional art and ancient temples surrounded by ancient trees in an eloquent collaboration between art and nature. Opening hours: Most shops are open from 8:00 AM - 7:00 PM and markets are open from 6:00 AM - 5:00 PM on Sunday to Saturday. Stores and markets close on public holidays. 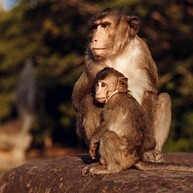 Even if Siem Reap isn't a big city with a lot to offer. Be inspired by the Apsara dancing, Khmer traditional art and the ancient temples surrounded by ancient trees in an eloquent collaboration between art and nature. Transportation is readily available so feel free to visit whatever is on offer, as nothing is too far or too hard to access. The entrance to the Angkorian temple complex is just a simple drive away on a road magnificently lined with ancient trees. This is the former capital of the Khmer Empire, which ruled this region between the 9th and 12th centuries. Angkor Archaeological Park evokes the rich historical, architectural and cultural past of the Khmers. The majestic Angkor complex offers temples galore, which is a marvel to explore. Each temple is unique, from the grandeur of Angkor Wat to the beauty of Bantey Srei, this dynastic ’village’ is spellbinding. You need a minimum of two days to explore. As the temples are spread out, transportation is required. Bicycles, motorbikes, tuk-tuks and air-conditioned cars are at your disposal. Guides can be sought through most hotels and guesthouses. 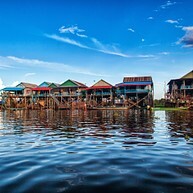 Tonle Sap Lake is the largest fresh-water lake in Southeast Asia. This vast expanse of water is at the heart of Siem Reap’s past and present lure. Cruising through the most popular village, Chong Khneas, you can see floating markets, a school and a bar. They look even more charming under the sunset. Not to forget that around the lake’s mangrove forests live over 100 different waterfowl. So go discover more. 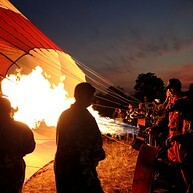 Revel in 360-degree views of temples, hovering high and low on a thrilling hot-air balloon ride. From 200 metres height you can see the Angkorian ruins and the neighbouring countryside in all its splendour. This Disney-styled village recreates Cambodian culture and history. From hill tribes to Phnom Penh’s Central Market, this tour gives you an original insight into the country’s past and present. Dy Proeung has, over the years, laboriously replicated Angkor’s famous temples. His passion for these Khmer marvels and his craftsmanship have been recognised by former King Norodom Sihanouk, who awarded him a special prize for his contribution to the Cambodian arts. Browse around this workshop as craftsmen work and then cross the garden to the shop, which offers the finest silk designs and famous carvings. The Silk Centre will also give you an interesting insight into the steps needed in the production of scarves and fashion fabrics. This outdoor circus is built to keep and encourage the careers of Cambodian artists. Different performances with music, dance, juggling and acrobatic tell the stories about the life and society of Cambodian. When you visit this theatre, you can also contribute to their wishes of having an indoor venue one day. The Angkor Centre for Conservation of Biodiversity (ACCB) can only be visited through booking a guided tour for one and a half hour. This centre rescues and rehabilitates local animals and offers visitor a chance to learn about Cambodian wildlife. 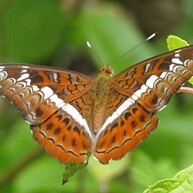 This park is welcoming break from temple-watching and is filled with beautiful butterflies and tropical flowers. Thousands of native species fly around the park and the professional guides will introduce you to the project and the park. 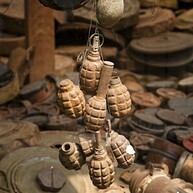 Cambodia still suffers from landmines spreading out in the country. This is not only a museum but also a home and school for at-risk youth and landmine affected children. It tells the story of the 35 year war and how the inhabitants are still working to get rid of these cruel hidden weapons. This temple is located close to the Old Market area and the Royal Residence. This is one of the oldest pagodas in the town and it is known for being unusually colourful compared to other temples, as well as unusual sculptures and beautiful gardens. After a lot of walking among temple ruins, you might enjoy a relaxing massage. Sokkhak Spa also offers a wide array of different treatments such as facials and scrubs in a tranquil atmosphere. After a visit here you are ready to climb the temples again. 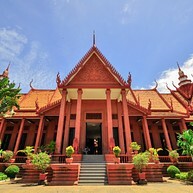 If you are planning to visit the temple ruins of Angkor Wat, this museum is a perfect start. It will equip you with a lot of valuable information shown in galleries and artifacts so you can easily understand history and beliefs behind the temples. To get into this national park, foreigners must pay a toll fee. 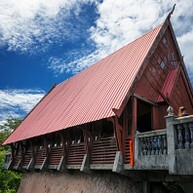 This place sits magically on the top of mountains that have been used to build the temples of Angkor Wat. 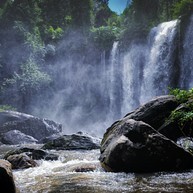 The water running from the beautiful waterfall is said to be holy and locals often bring a bottle of it with them home. 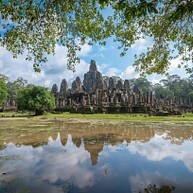 Angkor Thom was the last and most enduring capital city of the Khmer empire. It is a compound containing many temples created by and for King Jayavarman VII. At the centre of the city is Jayavarman's state temple, the Bayon, one of the most impressive temple. The tour is like walking in the past offering you a glimpse of the earlier civilization. 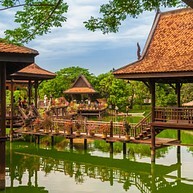 This temple is a must-see in Siem Reap. 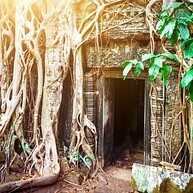 The photogenic and atmospheric combination of trees growing in the ruins of the temple make it one of the most favorite tourist attractions. It was founded by the Khmer King Jayavarman VIIas as a Mahayana Buddhist monastery and university.